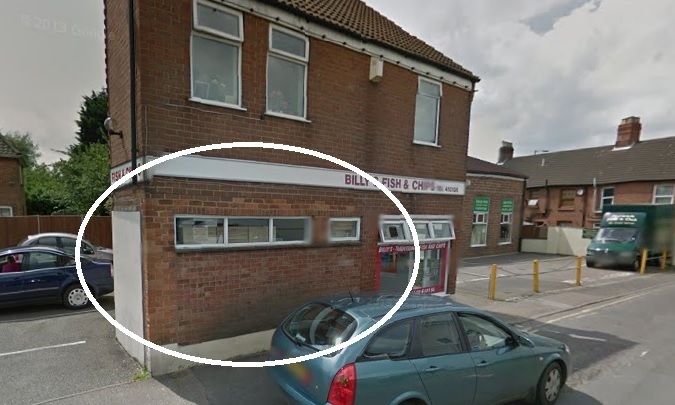 Billy Wong ran the chip shop and he opened the chip shop in 1983. 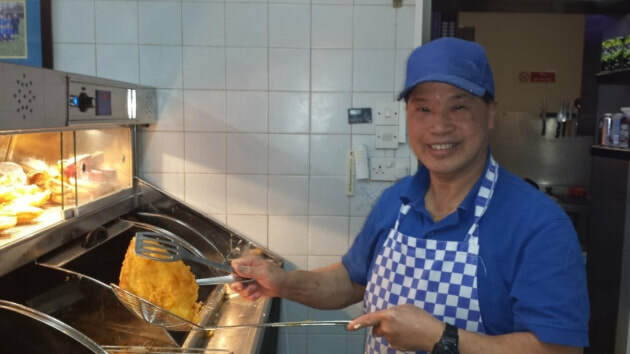 He first worked in catering and then saved money to buy the shop. Billy died on Monday 13th August 2018 after suffering cancer for Three years. He was known by his customers for always smiling and being happy, I always remember going in the shop and always got a warm welcome. 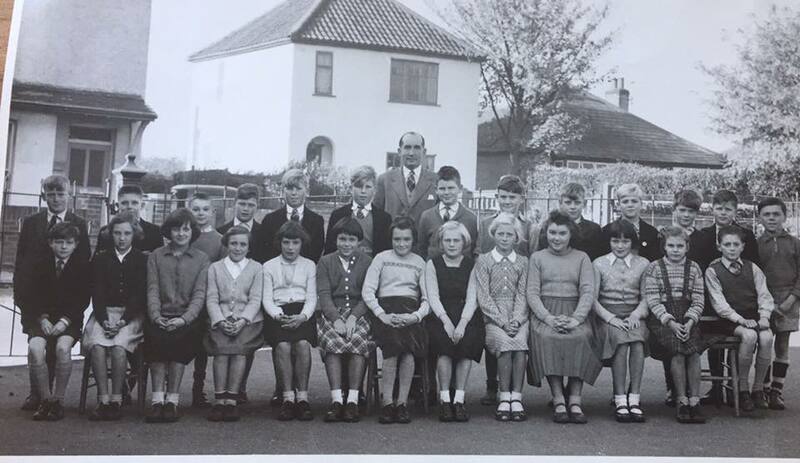 "I went to the school Lane School from 1942 and well remember the shop on the other side of the road (now a barber's) which had a marvellous fizzy drinks machine. This had a spherical glass container of water, you chose your flavour and a shot of syrup went into a bottle which was then filled with carbonated water to produce your penny drink." 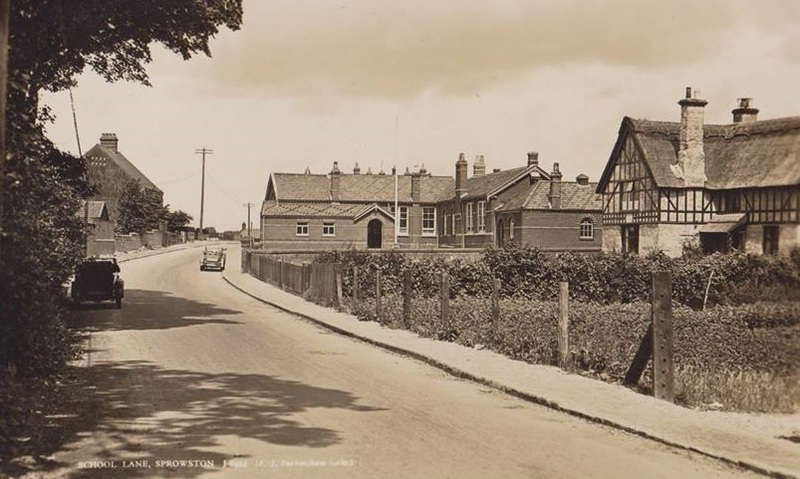 This is the old Sprowston Elementary School which was opend in 1860. In 1873 the building was extended. As time went on and as Sprowston grew they had to build other schools on Recreation Ground Road and the high school on Cannerby Lane to keep up with demand! 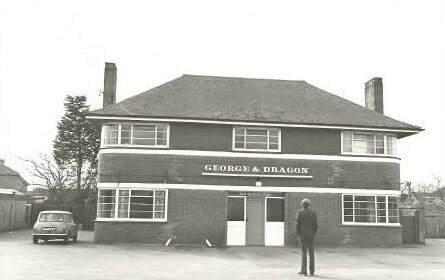 The original pub was opposite The Woodman on George Hill and later moved to School Lane. 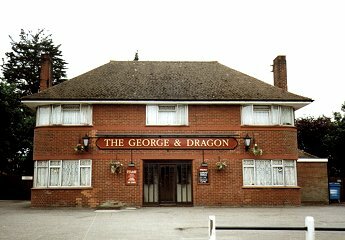 It Opened in 1938 and closed in January 2000 and is now sadly houses. This used to be Pages. They built the Westlegate Tower in Norwich. This area is likely to have new houses,shops and community buildings in the future.